Wait, What Is an Instant Pot? If you’ve never heard of the Instant Pot, here’s the skinny: Instant Pot is a brand name multicooker, which is a countertop electric appliance so named because it has the ability to slow cook, pressure cook, make rice, make yogurt, sauté and warm. Allowing home cooks to make everything from pulled pork to cheesecake in a single pot, Instant Pots have revolutionized home cooking – think of it as the microwave of the new millennium. I’ve Had Trouble Finding Recipes That Work. What’s the Deal? People have been hungry for recipes since Instant Pots first hit home kitchens in 2010. Food bloggers led the way and food sites have followed suit. The Internet is now awash in recipes, but not all recipes are created equal. Untested recipes lead to unsatisfactory results, which is exactly what inspired the curious minds in the Betty Crocker Test Kitchens. As more people buy Instant Pots (and they are) — the Facebook community has grown to include more than 1 Million users — the demand for reliable recipes is on the rise. What’s Different About Betty’s Instant Pot Recipes? Our recipe developers have studied this appliance from top to bottom to understand exactly how it works. By the way, we saved our notes, so you can learn from all our experiments in this article all about the Instant Pot. With a solid understanding of how Instant Pots work, they began developing recipes for the most popular model, the 6-quart. Applying their vigorous testing methods — every recipe is tested at least five times to ensure home cooks will get the same results. 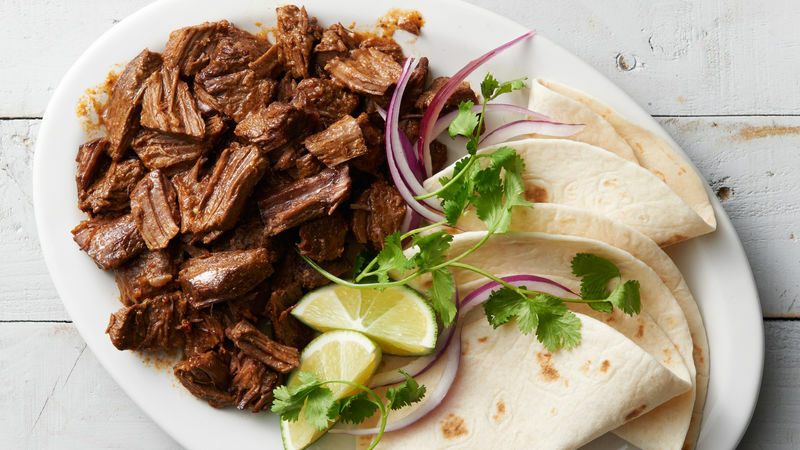 Recipe developers discovered what’s best cooked in the Instant Pot. It turns out meltingly tender meat — so bring on the ribs, pulled pork, whole chickens and more — and makes quick work of soups, stews and one-pot dinners. And that is how this batch of what we truly believe are Betty’s best Instant Pot recipes came to be on your screen. We hope these recipes will help you make the most of your own kitchen magician! Can I Use These Recipes in My Stovetop Pressure Cooker? If you have a stovetop pressure cooker, you should be aware that the recipes you use with it are not interchangeable for the Instant Pot. Stovetop pressure cookers and Instant Pots have different PSI (amount of pressure) at high and low settings, so you won’t get the same results. Please also note that since these recipes were tested in 6-quart Instant pots, results could vary when using other brands of multicookers or different sized Instant Pots. Questions, Comments, Requests? You’ve Got Betty’s Ear. We’d love to hear what you think of these recipes, and we’re keen to answer the questions that come up when you’re in the kitchen making them. Finally, the Betty Crocker Test Kitchens are constantly developing new recipes, so leave a comment below if you’re looking for a particular dish.